If you believe that global warming is the biggest catastrophe and economic disaster coming our way, then attempts to retrofit measures to contain CO2 emissions onto a global industrial base that has evolved largely without regard to emissions (other than as pollution) is a hugely important task. Finding a way of putting a price on carbon is the obvious route to go. The EU set itself up to be the global leader in creating mechanisms for carbon pricing but its emissions trading scheme, which has been copied by a number of countries, including Australia, South Korea and some Chinese provinces, is now in disarray. A vote by the European Parliament in April effectively holed the EU's carbon pricing scheme below the waterline, to quote a recent article in The Economist. There are basically two ways to get industry to reduce its carbon emissions. You can mandate it by law, in a command-and-control manner, using the power of the state to force compliance, with massive fines and even prison as the ultimate sanctions for non compliance. Or you can set a cap-and-trade policy and leave it to the market, which is what the EU has done. Under a cap-and-trade approach you set limits to the emissions of the heaviest producers and then allocates or auctions carbon credits to cover production up to the limit. Firms that manage to reduce their emissions below the limit will have surplus credits that they can sell to other companies. 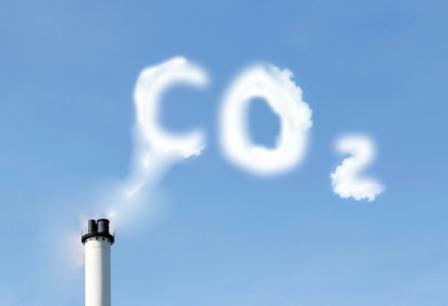 By lowering the limit over time, the government can bear down on emissions, gradually reducing them over time, while trading in carbon credits creates a true, market based per-tonne price for carbon. That, at least, is the theory. What the EU did not count on when it set up the scheme back in 2005 was that advanced markets would suffer a global financial crash which would lead to years of no-to-very-low growth. This resulted naturally in falling emissions and so to surplus numbers of credits washing about in what was supposed to be a limited-supply market. It is now obvious that the EU handed out far too many carbon allowances from day one, back in 2005, and every year since, to the point where, according to The Economist, there is now a surplus of about 1.5 to 2 billion tonnes of carbon allowances in the system, causing the price per tonne to drop from twenty euros in 2011 to just five euros a tonne in 2013. The EU's solution to this was a plan to withdraw some 900 million tonnes of carbon allowances off the market, with the idea of reintroducing them at some unspecified point in the future when the price per tonne of carbon had firmed up. The idea was dubbed "backloading" by the EU. Constraining supply has always been a good way of driving up price and since the whole market is artificially created there is probably no logical reason why the EU shouldn't be able to tinker with the scheme to firm up prices. But the EU needed the European Parliament's approval to put this scheme into action and on 13 April 2013 the European Parliament rejected the idea. The price of carbon sank like a stone, bottoming at under 3 euros. Since the International Energy Agency is warning that the price of carbon needs to be at least fifty euros to be effective in moving power generation companies away from coal to gas and renewable sources, this does not look hopeful for the EU's best lever against global warming. There is now a serious question mark over the future of emissions trading schemes generally, which is not particularly helpful for California, which introduced its cap-and-trade scheme in January 2013. The Californian scheme raised far less, by way of auctioning of carbon credits, than State authorities had anticipated and the tribulations of the EU scheme will not go unnoticed. Australia had been planning to link its cap-and-trade scheme to the EU's scheme, creating an international trading market in carbon allowances, but that too, now looks rather unappealing. Right now the EU's ETS scheme looks like no more than a rather useless additional "green" tax which the power companies simply pass on to the consumer. As a behaviour changing mechanism, it is dead in the water until and unless the EU finds a way of shoring up the price. Unfortunately for the EU no one actually wants carbon in the way that they want gold. The market is entirely artificial and carbon allowances, as a tradable asset class have just given a graphic illustration of what is meant by "political risk". EU's carbon pricing strategy takes a potentially fatal hit is republished with permission from the QFinance Blog.